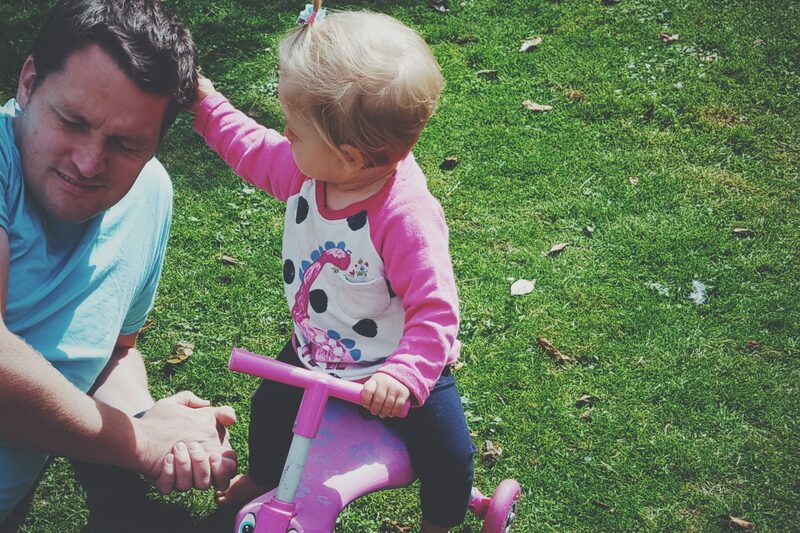 From the huge (and very emotional) step of baby towards toddler, it’s almost a guaranteed ordinary moment to receive your first little bike or trike. Its usually something small to practice balancing on and something to keep you busy. 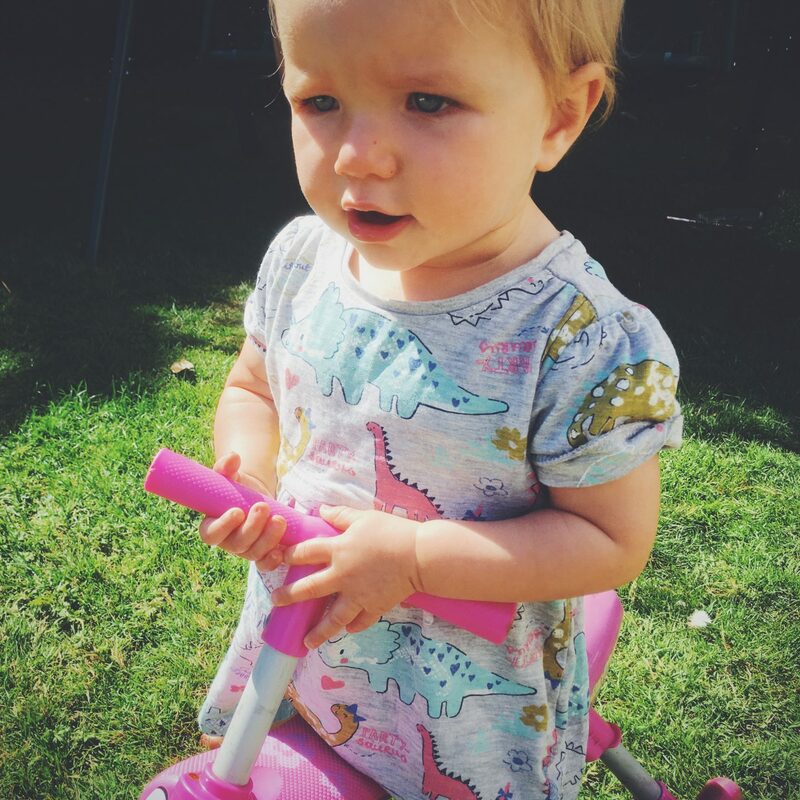 Something simple to explore and to aid in the walking and gross motor skills of toddler-hood! For mine it was and always had been a “Scuttle bug” – I find them rather cute and funky, easy to store and great for transporting around with you. I hadn’t really thought much about one for Alice, despite her quickly approaching her first birthday, but much to her delight, and very much by chance, on Saturday she had her turn to receive one! It’s not her birthday yet, and it wasn’t for any particular purpose other than a hand-me-down. Only this scuttle bug isn’t just any hand-me-down and nor is it just second hand – its more in the 4th hand region and it has, without intention, become an heirloom of sorts! And so it was a very special moment to see Alice get on it and love it so much. She stood up and reversed backwards on it with precision. 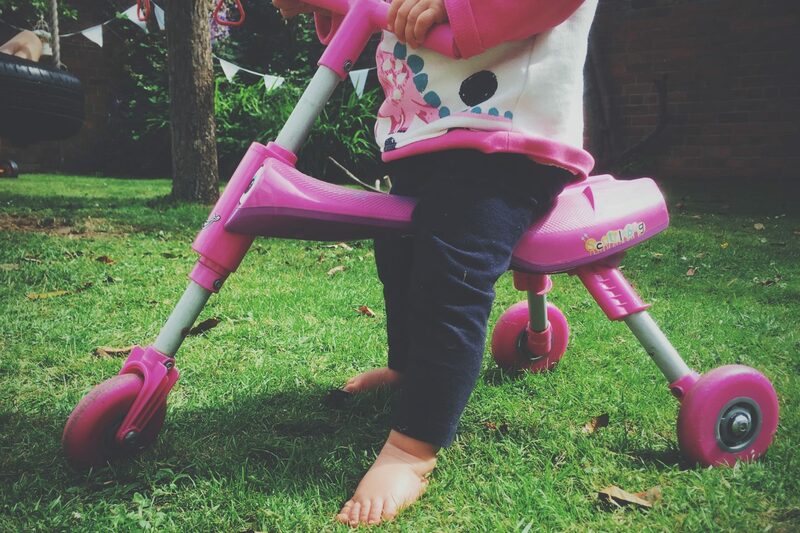 She bounced about on it in a giddy manner and she was occupied for ages by its little handles, wheels and pinkness! She was truly in her element! It isn’t new but it holds memories for us all and it has become an ordinary moment of passing it to the next little tot as their first little bike. 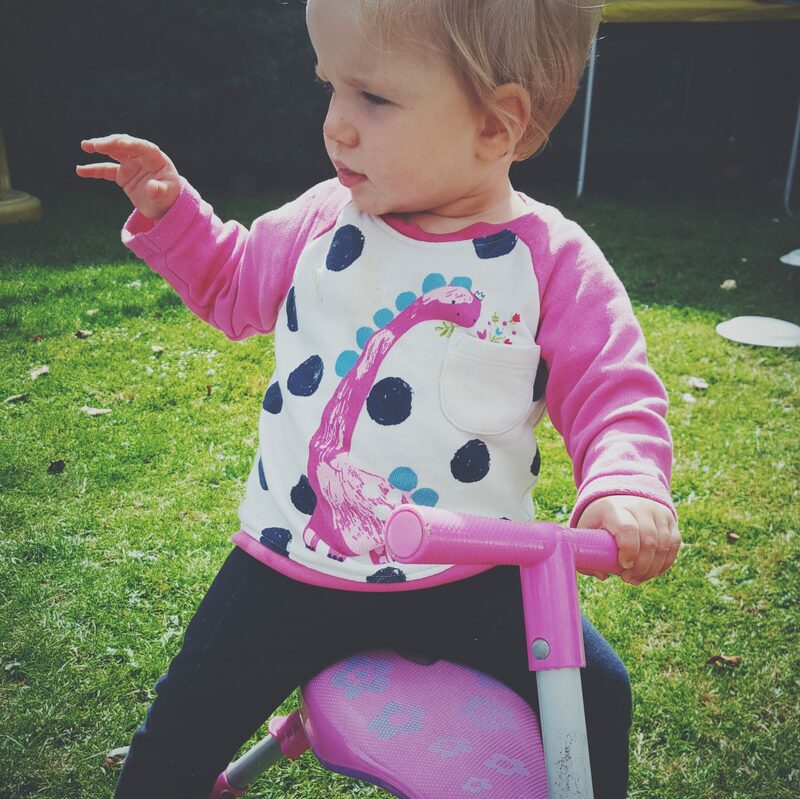 Now Alice gets to roll, play and waddle about on the scuttle bug that was once her sister’s and cousins! I love to see her enjoying it and hitting this stage in life! Donna recently posted…Have you entered the Giveaway Bonanza with GrowingApp?